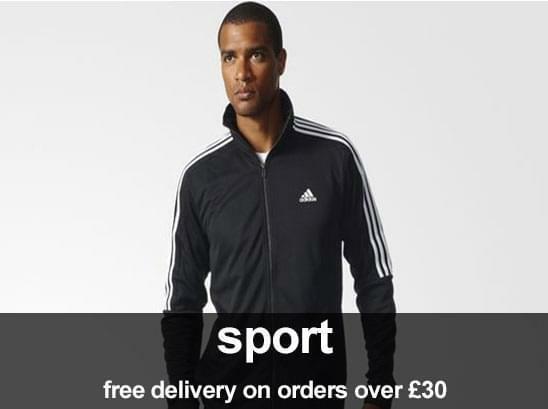 When partaking in sport, the right gear can make the world of difference to your performance. For football in particular, it is important to ensure you have the right footwear to keep you at the top of your game. 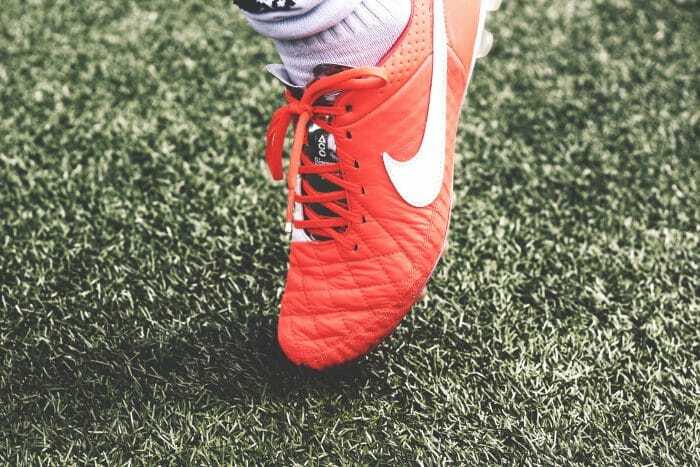 With so many different types of football boots available, it can be difficult knowing exactly where to start when shopping for your perfect pair. 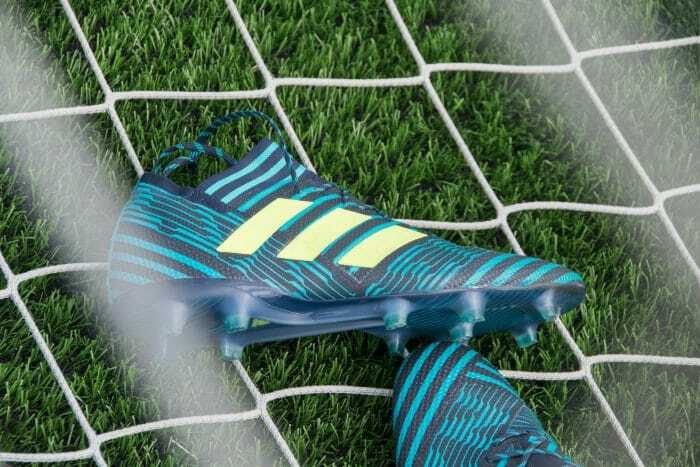 With this in mind, we’ve put together the ultimate football footwear guide, using commonly asked questions to break down how to find the right football boots for your conditions, position and playing style. Does the surface I’m playing on matter when choosing football boots? Yes – the first thing you should think about when looking for new football boots is when and where you will be playing. 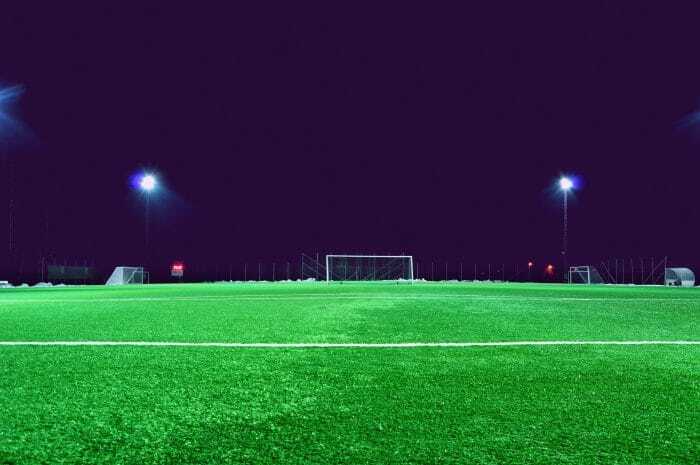 Most football boots are designed to perform best in a certain environment, so you need to consider this when choosing the most suitable option for you. First, think about the surface you are playing on. Is it grass, astroturf or indoors? Secondly, if outdoors, think about how the conditions will be when you are playing. Is it summer and likely to be dry, or is rain making the ground much softer than usual? These are all things you need to bear in mind when looking for the best football boots for you. So, which football boots are best for grass? 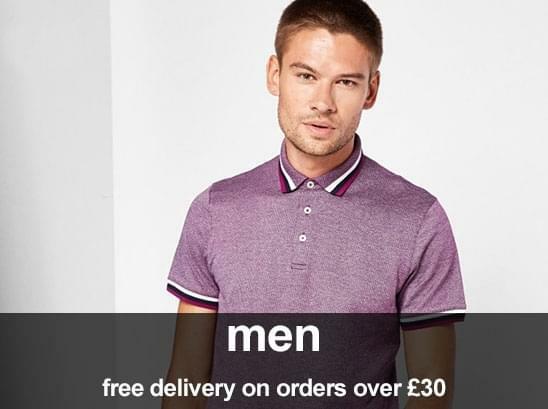 You ideally want to choose mens football boots with changeable studs. Most UK football boots feature six metal studs on the sole, and the length of this stud is what will help maintain grip on soft surfaces. On natural grass or in damper conditions, longer studs are needed to prevent slipping. In dry conditions on firmer ground, a shorter stud will get the job done. Which football boots are best for astroturf? This form of artificial grass provides a much firmer surface than natural grass, so metal studs aren’t a necessity. Football trainers with plastic, molded studs (or astro soles) are ideal for maintaining grip on artificial surfaces while allowing you to run and kick comfortably. The Nike Mens Mercurial Vortex FG Football Boots promise unbeatable style and comfort, and offer the perfect grip when training and playing football on astroturf. Which football boots are best for indoor play? For indoor playing, you need football boots that are even lighter than the astro soles of football trainers. While there is no need for studs on a solid indoor surface, grip is still important. Choose a lighter football trainer with a rubber sole such as the Nike Mens HyperVenom FG Football Boots. Does my position make a difference when choosing football boots? ● If you’re a striker, think about comfort. Your football boot should be light, and allow you to move around the pitch quickly and easily. ● If you’re playing central midfield opt for a classic football boot that suits the pitch conditions. ● If you’re playing forward or wing, you need a football boot that allows you to move quickly and pass with accuracy. Opt for a lightweight leather football boot with decent studs. ● If you’re playing defence or in goal, grip is paramount to reduce the possibility of slipping, so ensure your studs are up to scratch. You also need a sturdy, well-made football boot that provides great ankle support, to make sure you are stable and protected in case of any rough dives or tackles. How exactly should they fit? How tight should football boots be? Once you’ve worked out what you need from your footy boots in terms of style and grip, you need to think about the fit of your shoes. Football boots tend to stretch more quickly than other shoes, so this is worth considering when choosing your size. Also bear in mind that your boots will likely be worn with thick football socks, so you may need to size up. Ideally, your boots should fit snugly without being tight to the point of making you uncomfortable. Always check sizing information where possible, and, once your boots have arrived, wear them around the house to double check they fit before taking them on their first outing. If you’re on the hunt for a new pair of football boots or trainers, look no further than the Loofes men’s footwear collection. From Nike football boots to Adidas football boots, we offer a variety of options that will ensure you’re smashing it on the pitch in terms of both performance and style.